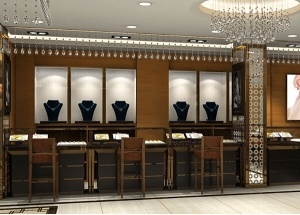 The jewellery showroom interior design was for a India jewellery showroom project. 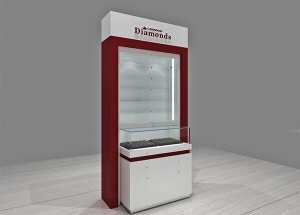 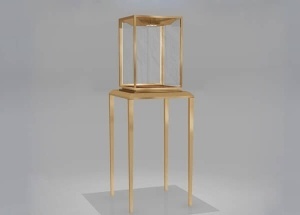 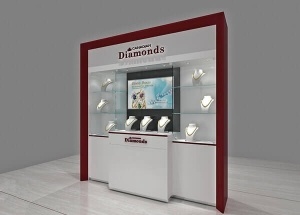 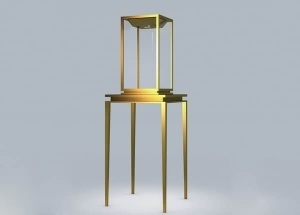 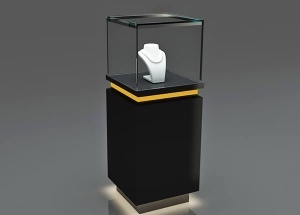 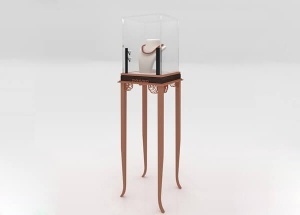 The jewellery showcase were pre-assembled and made with tempered glass and metal. 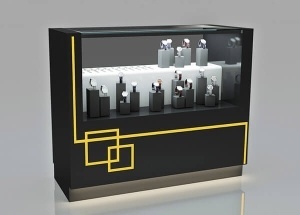 This black wooden and glass boutique showcases is baking finish. 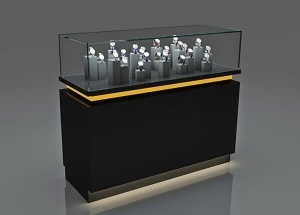 It'is made by wooden(MDF),glass,LED lights,etc.